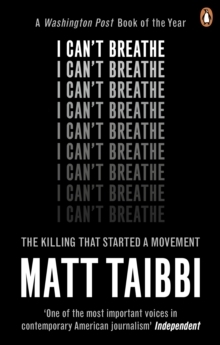 One of the most important voices in contemporary American journalism - Independent Matt Taibbi is one of the few journalists in America who speaks truth to power - Bernie Sanders Matt Taibbi is the best polemic journalist in America - Felix Salmon NEW YORK TIMES BESTSELLER"The thing is, when you actually think about it, it's not funny. Given what's at stake, it's more like the opposite, like the first sign of the collapse of the United States as a global superpower. Twenty years from now, when we're all living like prehistory hominids and hunting rats with sticks, we'll probably look back at this moment as the beginning of the end. 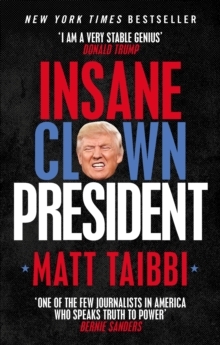 "In this groundbreaking battery of dispatches from the heartland of America, Matt Taibbi tells the full story of the Trump phenomenon, from its tragi-comic beginnings to the apocalyptic election. Full of sharp, on-the-ground reporting and gallows humour, his incisive analysis goes beyond the bizarre and disturbing election to tell a wider story of the apparent collapse of American democracy. 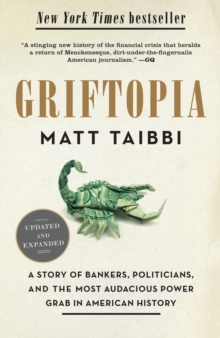 Taibbi saw the essential themes right from the start: the power of spectacle over truth; the end of a shared reality on the left and right; the nihilistic rebellion of the white working class; the death of the political establishment; and the emergence of a new, explicit form of white nationalism. 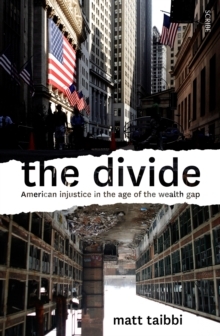 From the thwarted Bernie Sanders insurgency to the aimless Hillary Clinton campaign, across the flailing media coverage and the trampled legacy of Obama, this is the story of ordinary voters forced to bear witness to the whole charade. At the centre of it all, "a bumbling train wreck of a candidate who belched and preened his way past a historically weak field" who, improbably, has taken control of the world's most powerful nation. This is essential and hilarious reading that explores how the new America understands itself, and about the future of the world just beyond the horizon.